River City Nissan is thrilled to announce the imminent arrival of Nissan’s newest subcompact-crossover, the Nissan Kicks. Taking up where the Juke left off, the Kicks is an affordable, feature packed-vehicle that is small on the outside, but big on interior space. 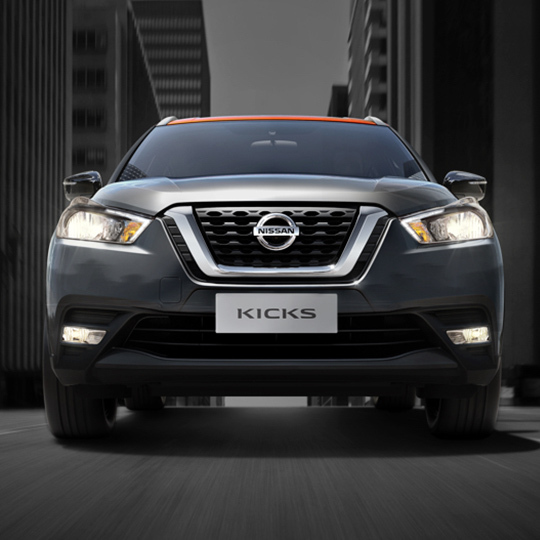 Read on to learn more about the Nissan Kicks, in anticipation for its arrival in Canada. The Kicks concept, first released to the public in 2014, was a collaboration between Nissan design studios in Rio de Janeiro and San Diego. The vibrant crossover, with its two-tone color schemes and floating roof, takes major inspiration from Brazil and its spirited Carnival festival. It was released in 2016 in Latin America, and Canada is one of over 80 countries in which the Nissan Kicks takes to the roads. The Nissan Kicks will provide exceptional value, especially for those stepping up from small entry-level sedans. With a ton of safety features, the Nissan Kicks will offer plenty of bang for your buck. Standard automatic emergency braking, forward collision warning, and a rearview camera for all trim levels, the Kicks will also offer available features like blind-spot monitoring, rear cross-traffic alert, as well as a surround-view monitor multi-camera system. There will also be a unique Bose audio system available, that features eight speakers, two of them being inside the driver’s seat head restraint. This creates an immersive sound experience for the driver, and anyone else in the vehicle. Add in With suggested prices below that of comparable crossovers like the CX-3 CH-R, and HR-V, the Nissan Kicks is sure to offer class leading features with a lowest in class price point. Performance wise, the AWD Kicks’ lightweight design gets the absolute most out of its incredibly fuel-efficient 1.6L four-cylinder engine, meaning your trips to the gas station will be few and far between. Combined with Nissan’s Intelligent Mobility, and an Xtronic CVT automatic transmission, there are no city streets around the world that the Nissan Kicks can’t tackle with aplomb. The Kicks is also loaded with room; its 60/40 split rear folding seat offers a ton of functionality, and even with the second row up, the Nissan Kicks offers a class leading 25 cubic feet of cargo space. 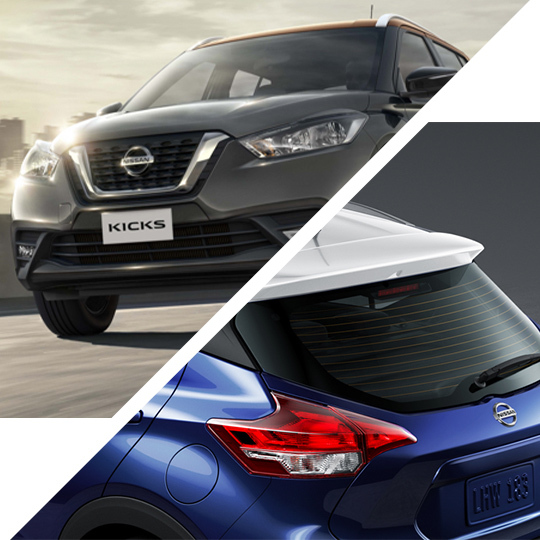 If you are interested in getting your hands on the new Nissan Kicks, or any of Nissan’s other industry-leading six crossover vehicles, contact River City Nissan today — and experience innovation that excites.